Azerbaijan permanently resorts to manipulations in the peace talks over Nagorno-Karabakh (Artsakh), finding unusually weird interpretations to the formula proposing “territories for peace”, according to a political analyst. In an interview with Tert.am, Narek Minasyan criticized the Baku authorities’ policy of “selling” the non-renewal of war as a concession, agreeing at the same time that the actual negotiations have not yet resumed to allow for chances of considering future scenarios. But he ruled out the possibility of applying proposed formula in the light of Azerbaijan’s persistent threats to use force, noting that the armed forces of both Armenia and Artsakh are "efficient enough to counteract any offensive." 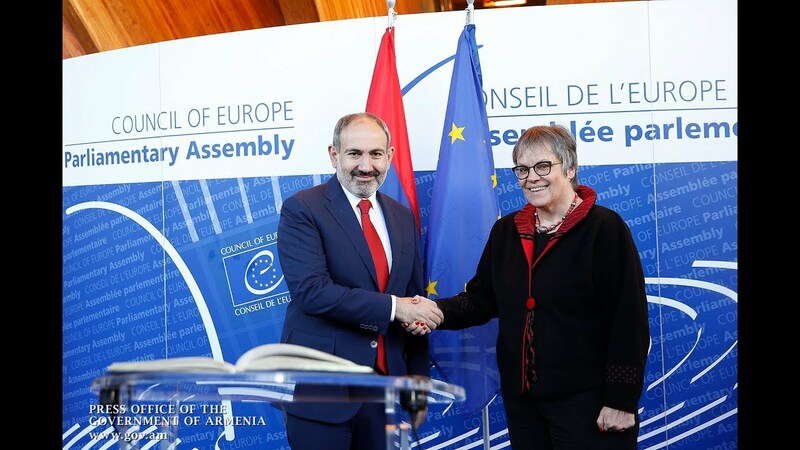 Minasyan highlighted Prime Minister Nikol Pashinyan’s repeated calls on Azerbaijan (voiced at meetings with international partners) for clarifying the framework of their concessions. “Azerbaijan is silent on the kind of concessions they are ready to make to settle [this conflict],” he said. Azerbaijan’s Foreign Ministry recently commented upon Pashinyan’s strong-worded remark against the formula, considering the premier’s stance somewhat illogical. “The withdrawal of Armenian troops from Azerbaijan’s occupied regions is the underlying principle behind the Karabakh settlement talks. A question arises then as to whether Pashinyan’s statement implies an intention to pull out of negotiations,” a spokesperson said. Asked whether an ongoing peace process is reasonable under the circumstances, Minasyan refrained from specific comments, recommending instead to raise the question in the run-up to a planned meeting. “Those negotiations, logically, cannot be an end in themselves. That also accounts for the absence of talks in the past seven months or so. There isn’t any platform at the moment for the parties to negotiate on,” he noted. Minasyan said he also thinks that the positive image Armenia gained after last year’s power transition processes caused the Azerbaijani authorities to adopt a kind of policy “not damaging their country’s reputation in international politics” . “Azerbaijan tried to change its image in the context of this conflict, and initiated steps towards developing the international perception of a constructive party. Armenia was for many years considered a constructive party in this conflict settlement process, and Azerbaijan is now trying to seize that role. And they are taking certain steps in that direction, proposing a swap of POWs, replacement of the military contingent in Nakicevan with border troops, etc. Simultaneously, however, Azerbaijan holds on to its belligerent rhetoric, and its approaches to settling this problem,” he added. Minasyan called for strong efforts by the Armenian diplomacy to raise international knowledge of the real willingness to keep the peace process going in an effort to “unmask” Azerbaijan’s real motives. “It is important to demonstrate that Azerbaijan’s political leadership have not changed their approaches. In the current situation, therefore, it is important for Armenia to propose kind of initiatives which, if unaccomplished, will unmask Azerbaijan’s true image or, on the contrary, contribute to peace if they are really performed in good faith,” he added.